In the past I have been opposed to yellow in general, speaking out against it and then only mildly in favor of it in posts past. Generally speaking I'm not one to get excited about bright colors, but what's the point of an opinion if you can't change it? 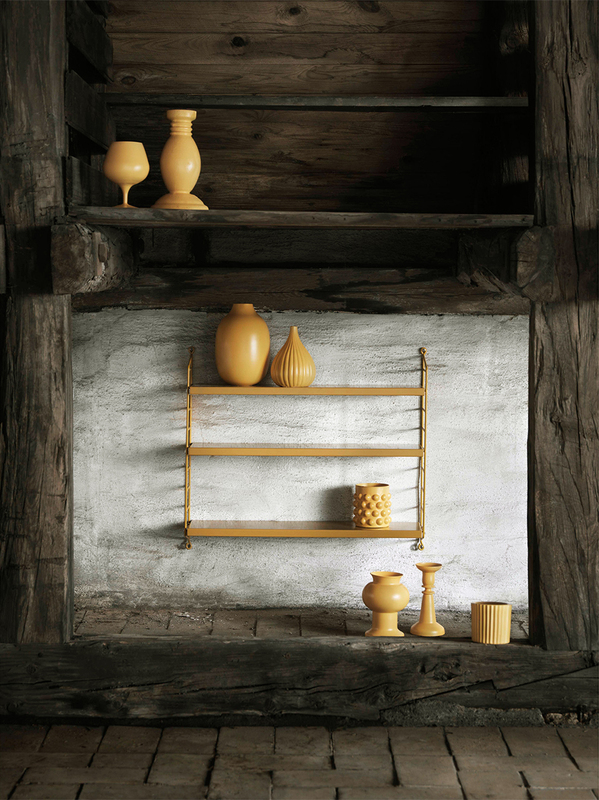 Lately I've seen more golden mustard yellows and I am really warming up to the look, especially when paired with another warm neutral like a pale brown or taupe. 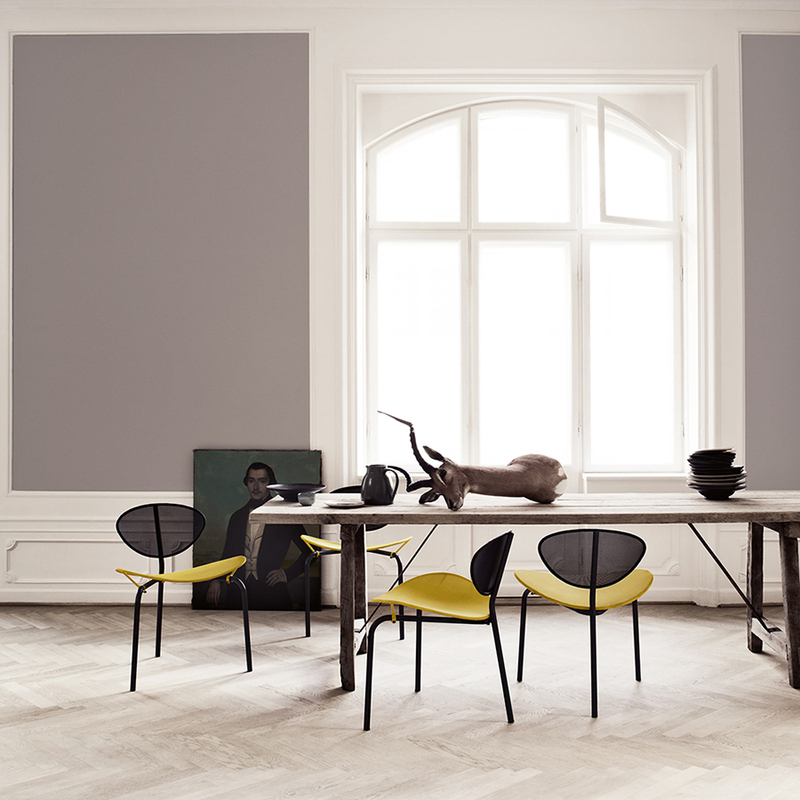 Gubi's Nagasaki chairs with yellow seat cushions. 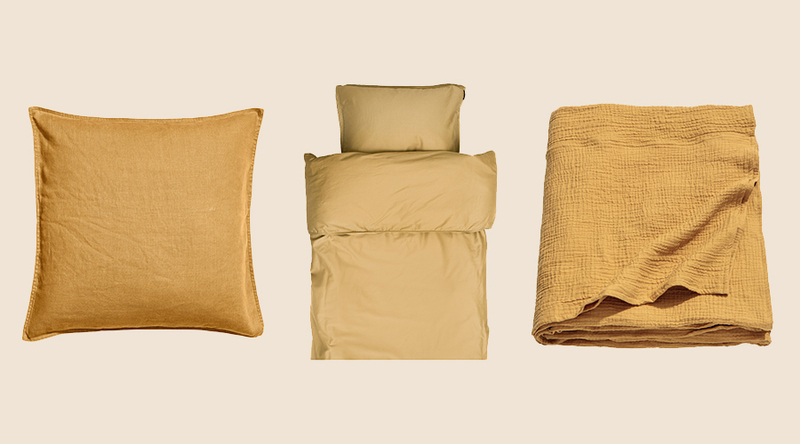 Bedding in the same shades, cushion from H&M, Himla's golden duvet cover and throw blanket also from H&M. I've also gathered a few more favorites in this golden yellow shade below, including a non-interior piece, a dress by Lauren Manoogian that is just the perfect warm color for Spring. 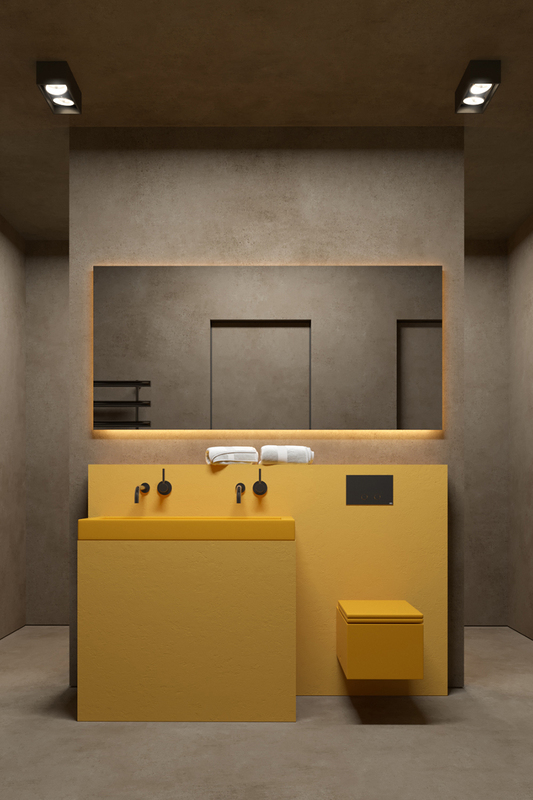 That yellow bathroom is so creative! Gorgeous picks. 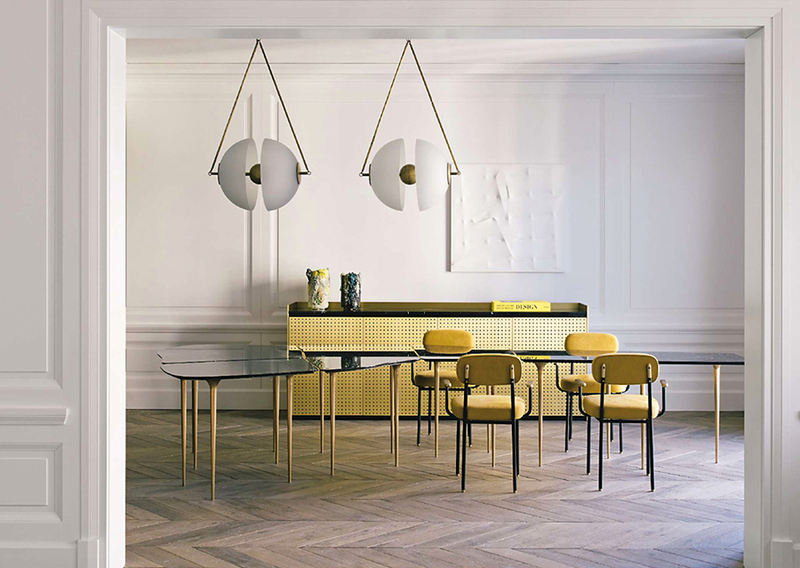 I've never incorporated much yellow into my own spaces but the items in your yellow edit are so chic. 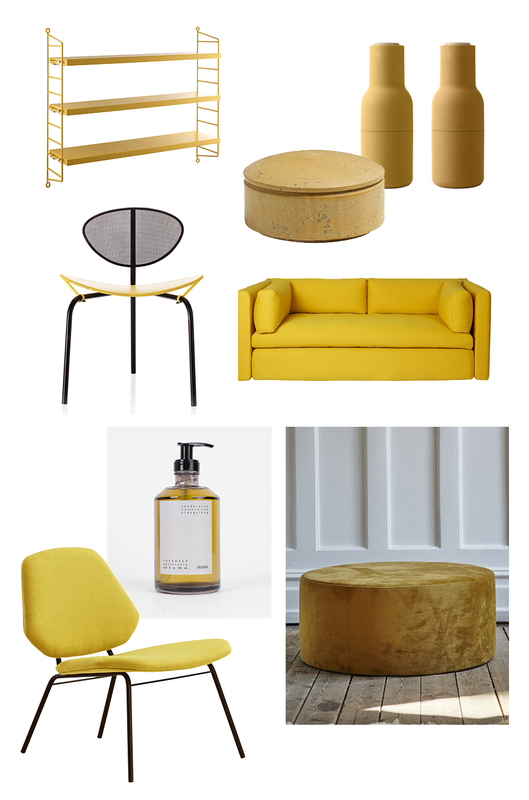 Love that mustard velvet pouf.